With new ingredients flooding the market every day, we have now become conscious about what we put on our skin. ‘Paraben-free’ has become a buzzword, and more and more people are scanning the beauty aisles to pick products that do not contain parabens. What are parabens? Do they cause harm to your health? 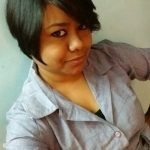 Do you need to avoid them? Find answers to all these questions in this article. Why Are Parabens Bad For You? Parabens are a group of chemical preservatives that are widely used in cosmetic products. From commercially available moisturizers, shampoos, and serums to creams, lotions, and toothpastes – almost all cosmetic products contain parabens. Parabens prevent the growth of bacteria and molds in the product. Products containing parabens can last for months and even years. You must have seen these names on the list of ingredients in most cosmetic and skin care products. A single product can contain one or more types of parabens. Parabens are often used in combination with other preservatives to make sure that they can protect the product from a broad range of bacteria and microbes. Since the 1950s, parabens are extensively used in cosmetic products. Parabens are popular because they are gentle, non-sensitizing, and more effective than preservatives. The Cosmetic Ingredient Review (CIR), in partnership with the FDA, concluded that parabens are safe to be used in cosmetics (1). Due to their excellent antimicrobial properties, parabens are widely used in cosmetics, food items, detergents, and even medicines. Now, the question is, what exactly is the issue with parabens? Researchers found that parabens get easily absorbed by your skin, and they stay in your body tissues and fluids (2). Researchers also detected parabens in breast milk, serum, urine, and seminal fluid (3). Parabens were also detected in the breast tissues of patients with breast cancer (4). One hypothesis links the increased incidence of breast cancer in the upper lateral breast area with the use of underarm deodorant (containing parabens). Parabens are considered as xenoestrogens. In other words, these chemicals can mimic the hormone estrogen in your body. Parabens bind the estrogen receptors in your body. Compared to methylparaben and ethylparaben, butylparaben and propylparaben have high estrogenic activity in the human body. This estrogenic activity may lead to breast cancer development (2). Parabens can elevate cellular level damage caused by UV exposure, which may even cause skin cancer (5). Parabens can also sensitize the skin, causing allergic reactions. A study found that ethylparaben used as an antifungal agent (5%) on human skin caused contact dermatitis (6). 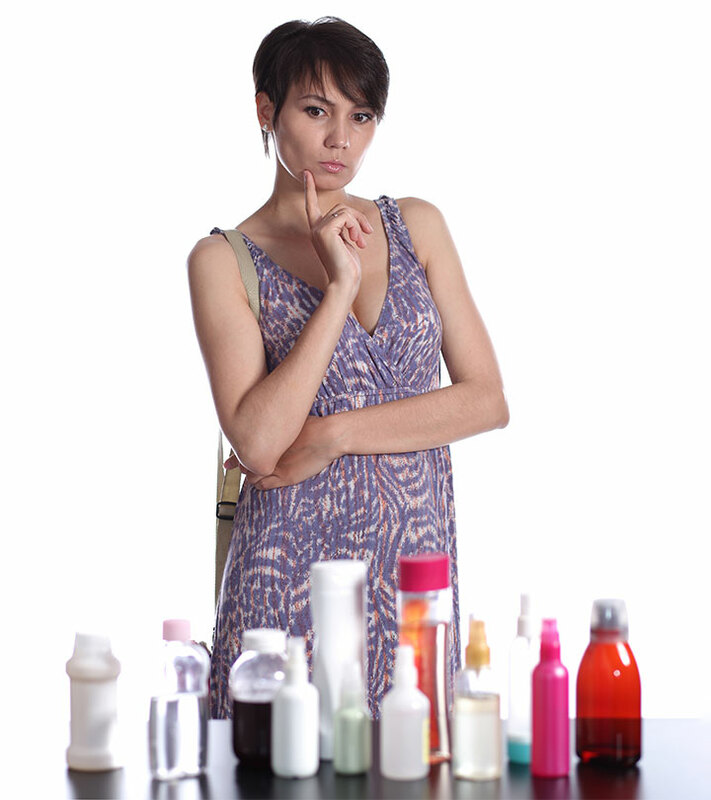 Due to these reasons, many cosmetic and skin care brands shifted to “paraben-free” products. However, even though these products claim that they are paraben-free, they still use preservatives. Usually, alcohol, grapefruit seed extracts, or sorbate are used as preservatives. Hence, many regulatory bodies in different countries regulate the concentration of parabens in the products. 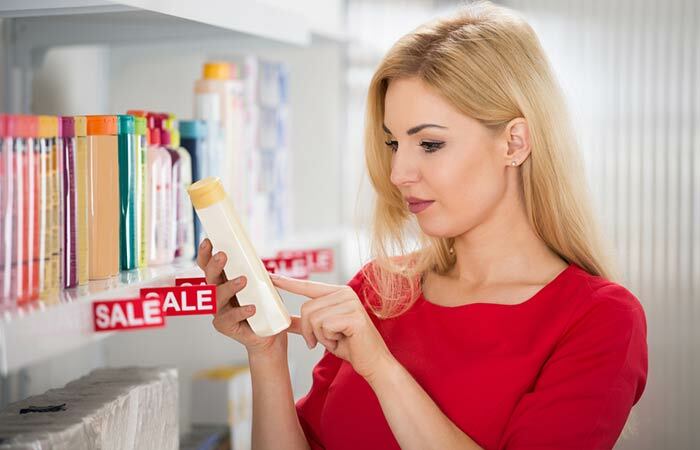 The regulatory bodies examined the concentration of parabens and limited their percentage to the extent that would be safe for the consumers to use (within the Margin of Safety). For instance, the European Scientific Committee on Consumer Products (SCCP) suggested that in cosmetic products, individual parabens can be used at a concentration of 0.4% and the total concentration of parabens (a mixture of multiple parabens) should be 0.8% (7). The Cosmetic Ingredient Review (CIR) also recommended the same concentration as SCCP for products sold in the USA. Denmark has banned the use of parabens in cosmetic and personal care products for children under the age of 3 (8). It seems that our fears and concerns regarding parabens are valid. However, finding paraben-free cosmetics and skin care products is not difficult. Here are a few paraben-free products you can try. 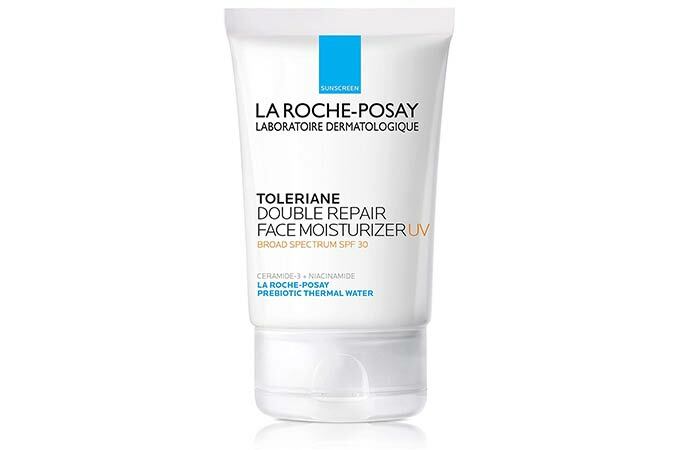 This face moisturizer has SPF 30 and contains a blend of niacinamide and ceramide-3. It restores your skin, keeps it hydrated, and also maintains its barrier repair function. This face moisturizer helps minimize the signs of aging, such as wrinkles, fine lines, and age spots. It is lightweight and is absorbed quickly. 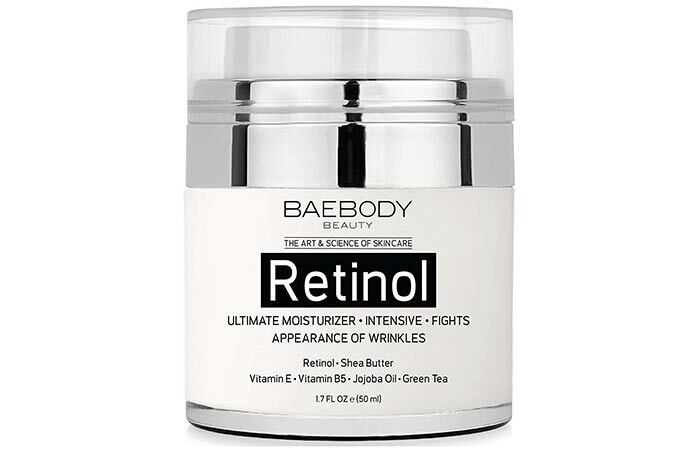 Apart from retinol, it contains shea butter, green tea extracts, and vitamins B5 and E.
This is a daily face wash for all skin types, including sensitive skin. It removes excess oil from your face without disturbing its natural pH balance and affecting the protective barrier. It is fragrance-free, dermatologically-tested, and non-comedogenic. 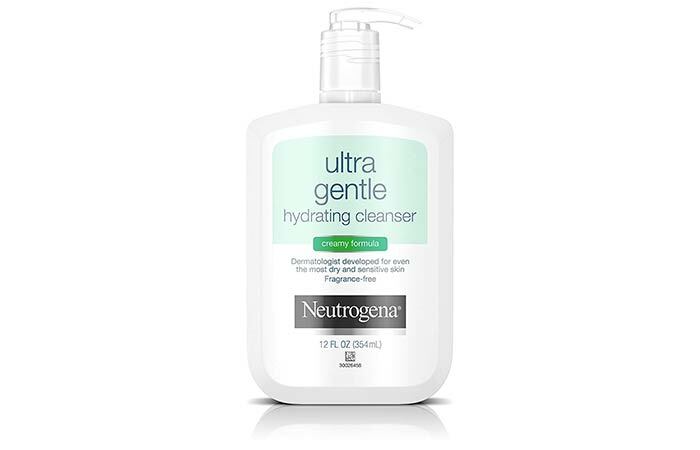 This is an extra mild cleanser that is free of parabens, dyes, and harmful chemicals. It is suitable for eczema and rosacea-prone skin. It is dermatologist-tested, hypoallergenic, non-comedogenic, and fragrance-free. 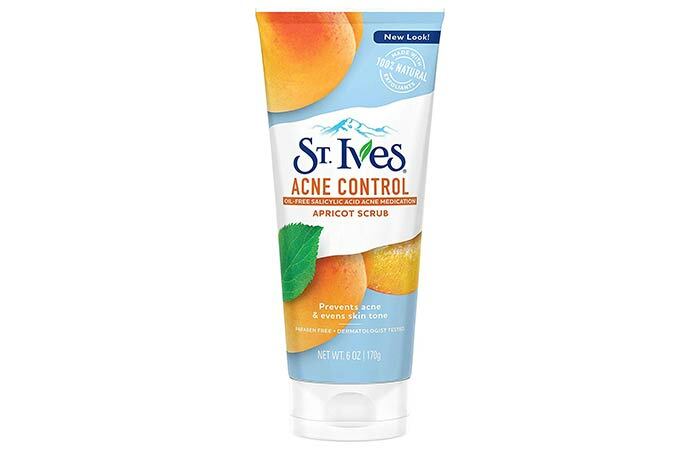 This acne control face wash contains salicylic acid. It clears blackheads and prevents the occurrence of new ones. 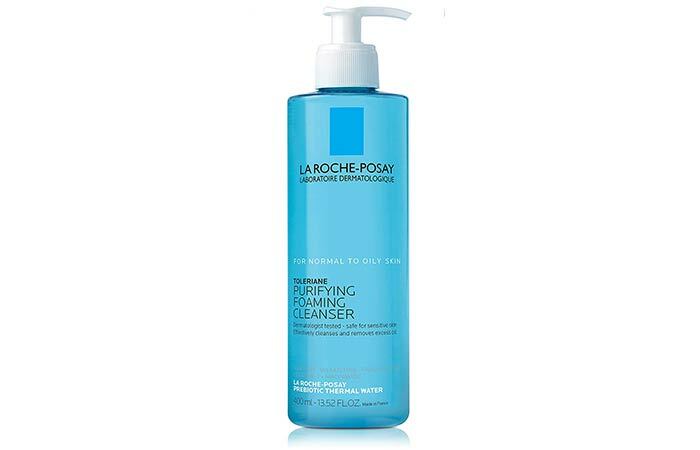 It gently exfoliates your skin and thoroughly cleanses the skin pores. It is paraben-free, dermatologist-tested, and non-comedogenic. Is it possible to avoid parabens? Yes, but only to a certain extent. It is practically impossible to ditch every product that contains parabens. Hence, moderation is key. If you use leave-in serums, lotions, masks, and antiperspirants, avoid products containing parabens as these will transfer high concentration of these preservatives to your body. You can check for natural ingredients as alternatives. Remember that a “paraben-free” label never makes a product “chemical-free.” It still contains some preservatives. Do your homework and check the quantity of parabens in products you use and try to keep it as low as possible to be safe. What do you think of parabens? Do you use paraben-free products? Share your thoughts with us in the comments section below. “Parabens” The Centers Of Disease Control and Prevention. “The Health Controversies of Parabens” Skin Therapy Letter, US National Library of Medicine. “Parabens in urine, serum and seminal plasma..” Journal of Exposure Science And Environmental Epidemiology. “Concentrations of parabens in human breast tumours.” Journal of Applied Toxicology, US National Library of Medicine. “Parabens Toxicity To Skin And Other Organs” ResearchGate. “Diffusion of preservatives..” Journal of Cosmetic Science. “Opinion on the safety evaluation of parabens” SCCP, European Commission. “Statutory Order on Restriction on Import..” Ministry of Environment (Denmark).